Harvest House Publishers, 9780736918794, 337pp. From the author of the popular Million Dollar Mysteries and Smart Chick Mysteries comes a new stand-alone novel full of hidden staircases, buried secrets, and the promise of hope found in knowing God. Miranda Miller wasn't looking for the news the day the letter came. But, trying to survive in troubled circumstances, she welcomes the chance to change her location for a period of time. The letter informs her that her grandparents' estate is finally about to become hers. She immediately heads down to Louisiana and the old house by the bayou. There Miranda finds secrets that lead to life-changing revelations. 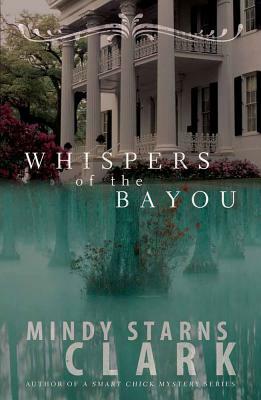 This suspenseful story reminiscent of old Gothic tales has a complex mystery and a vivid sense of the Deep South. It shows how God can take the darkest circumstances and use them to light a bright path leading to the future.